Nvidia has recently released driver 304.43 for Uninx-based systems which fixes a critical vulnerability that allows local users to have root access on your system. 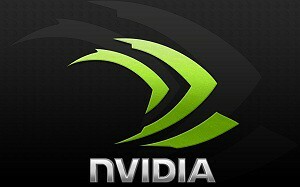 In this page, we will help you install Nvidia driver 304.43 on Ubuntu and Linux Mint via PPA. Fixed a bug that caused pre-release versions of X.Org xserver 1.13 to crash when certain GLX operations were performed, such as when starting Firefox. Fixed a bug that caused VDPAU to hang when expanding the YouTube Flash Player. Fixed a bug that caused gnome-settings-daemon to revert display configuration changes made by nvidia-settings. Updated nvidia-settings to use RandR per-CRTC gamma control, when available. When controlling an X server with support for RandR 1.2, nvidia-settings will display the color correction widget as a tab within each display device page, instead of a per-X screen color correction page. Fixed a bug that prevented the display palette from being updated immediately after an application called XStoreColors. Added the ability to select and move X screens in the "X Server Display Configuration" page of nvidia-settings via Ctrl-(Left)Click + Drag. No Comment to " Install Nvidia 304.43 drivers in Ubuntu or Linux Mint "